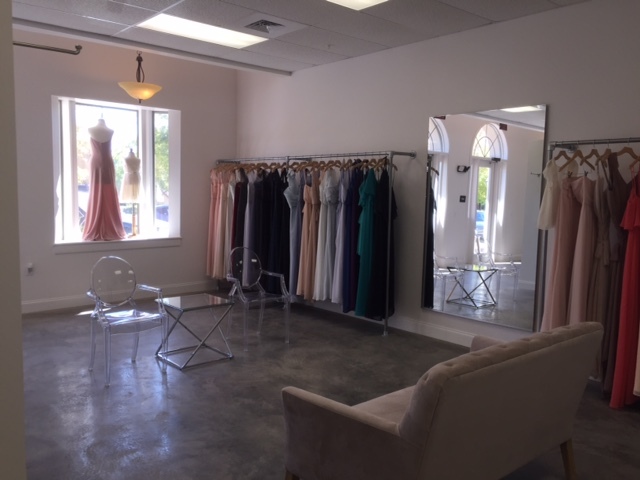 We are thrilled to announce the opening of another Bella Bridesmaids location! 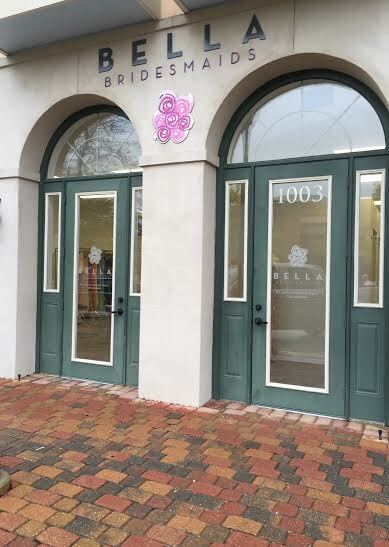 The seriously sweet owners of Bella Baton Rouge have opened their second Louisiana showroom in Lafayette...#BellaLafayette is now open! All you Southern Brides and Grooms need to meet Meghan and Danielle and we promise you will love working with them as much as we do! 1. Tell us all about yourselves! Danielle: I am an LSU graduate with a degree in Marketing. I taught high school business classes for three years before purchasing the Baton Rouge Bella with Meghan. I've been married to my husband Devon for five years, and have a one year old baby girl, Stella. I love good company, good food, good drinks and family time. Meghan: I graduated LSU in 2010 with a degree in Communications. I was the previous Bella owner's manager while in college and obviously fell in LOVE with it! Reece and I will have been married for 2 years next January and it feels like it's been 2 weeks! I have a super close family and group of friends that I adore and will jump at the bits to get together for food and drinks at any moment of any day! 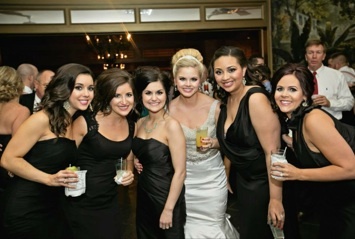 Meghan and her bridesmaids including co-owner Danielle (far left)! 2. How did you two become business partners? Danielle: We have been family friends for years! I've worked at a bridal boutique all through high school and college and loved it! I knew that one day I would want to own my own business but didn't expect to be blessed with the opportunity so soon. Meghan was the manager of Bella when the previous owner was looking to sell. Meghan and her husband, Reece approached my husband and I about purchasing, and we were all in. It was such a big leap of faith, but we never questioned it because it felt like it was the right opportunity at the right time. We were all nervous, but so excited to start something new! 3. What made you decide to open up Bella Lafayette? 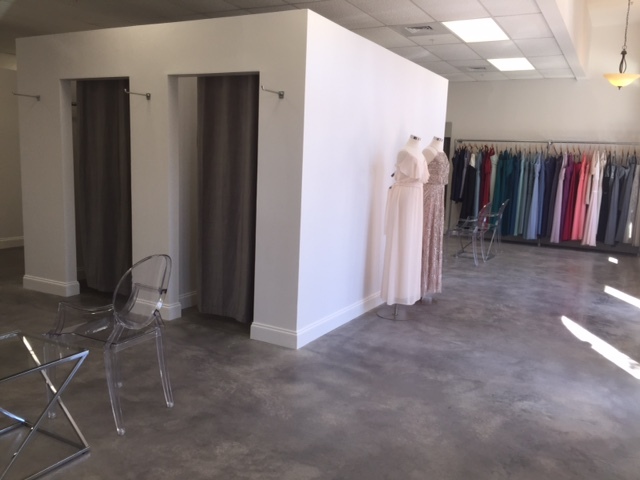 We have had such a positive experience owning the Baton Rouge showroom, and knew there was such a need in the Lafayette community. We love the area and are always looking for growth in our business. 4. What do you love most about the city of Lafayette? Lafayette has really grown over the past few years. We love the people, the culture, and the close knit community of people and thriving businesses. 5. What's been the most exciting or rewarding part of being a small business owners? We love watching the growth of our business through positive word of mouth. We get so excited when a bride walks in and we know most of her bridesmaids because they have all been previous clients of ours. The relationships in themselves are so rewarding. It is an awesome feeling to know you play a part in the bride and groom's most important day of their lives. 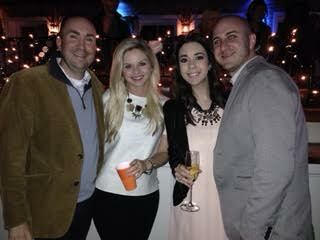 Meghan, Danielle, and their husbands Reece and Devon. 6. What have you learned from owning the Baton Rouge showroom that will help you at Lafayette? Experience is something that cannot be taught. We feel like we have been through several different learning situations from owning the Baton Rouge showroom the past three years. We are sure there are many more lessons to be learned, but have a good start. We have also learned how valued and appreciated exceptional customer service is. 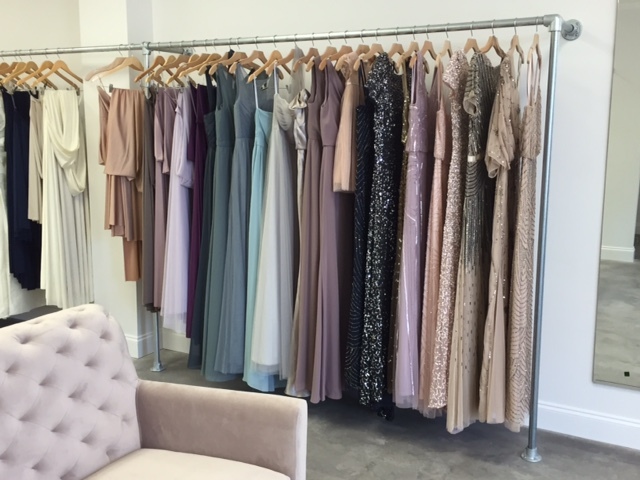 We always love hearing positive feedback from clients regarding their wonderful experience during the whole bridesmaid shopping and ordering process. Lafayette Showroom Manager, Brennan, and her husband, Nick! 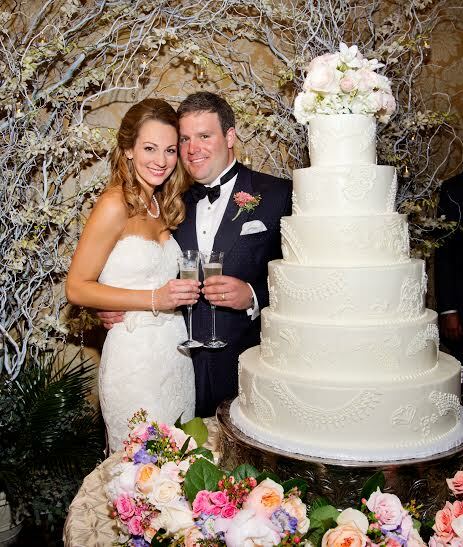 Brennan was a Bella Baton Rouge bride before joining the Lafayette team! 7. What do you each bring to Bella? We always laugh when it comes to this topic! Between Danielle, Meghan, Devon and Reece, we are all SO different! Each of us bring something totally different to the table. It works out perfectly because whatever each of our strengths are, is usually the others' weaknesses. It's a match made in heaven. 8. What trends are you loving for 2016 weddings? Our personal favorite right now is the color Marsala. Danielle's sister, Alyssa, just got married this past weekend and we were given free range to help her choose her bridesmaids' dresses. We all decide on varied Jenny Yoo styles in shades of muted neutrals with a pop of Cabernet and Gold Liquid Charmeuse dresses for her maids. We love all of the mixed textures and metallics.